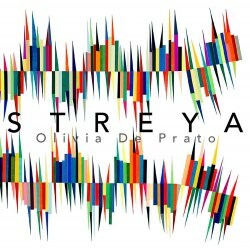 Streya is a six-composer album of works for solo violin, or violin and electronics. Each of the six has worked closely with Olivia De Prato since she moved to New York in 2005 and consequently much is hot off the compositional press. Samson Young’s Ageha.Tokyo dates from 2008. In the brief notes – all the composers write briefly about their music - he mentions that Ageha is Japanese for ‘swallowtail butterfly’ and is also the name of a gay nightclub in Tokyo but he also appends a poem called Slow Vomit (in Tokyo) - which sounds undesirable. There are disco thuds and razory violinistics in this five-minute piece as well as more welcome moments of ecstatic writing. This electroacoustic opener is a clubby one and assuredly more bar than butterfly. After which the pulsing dynamics of Victor Lowrie’s Streya, the title track, come as a strong contrast. There is a cosmic evocation at work here, and canny use of pizzicati and dynamic variance gives the music verticality as well as solidity and colour. Drawing on traditional techniques this well-structured piece conveys a sense of struggle and of development impeded. There are baroque elements at work in Ned Rothenberg’s Percorso Insolito where the music’s irregular movement has an almost improvisatory sense of flux and fluidity. Rothenberg is a multi-instrumentalist and his music here is purposeful and clever. Taylor Brook goes in for multi-tracking in Wane; five violins in all, a lead and four shadowing ones. There are plenty of glissando effects and there are points where this sounds like tuning up, though oddly there are also folkloric impressions too. The layering and diverging are the focal features of Wane. For a more overt evocation however of folk and indeed chorale themes one must turn to Reiko Füting’s Tanz.Tanz. The piece is based on an analysis of Bach’s Chaconne carried out by Helga Thorne, who uncovered a number of chorale themes, Fragmentary though these can be and ghostly though the motifs sometimes remain this is a strongly constructed solo violin piece. Missy Mazzoli’s Vespers for Violin, composed in 2014, is cast for amplified violin and electronics. It’s a ‘reimagining’ of her Vespers for a New Dark Age, which she sampled and reworked into this solo piece though it has a perfectly independent life. This is the most approachable work of the six, and is both warm and quietly mystical, a rather beautiful compact work that shows once more why Mazzoli is so admired a contemporary composer. Olivia De Prato continues the good work on behalf of cutting-edge contemporary music for the violin. She is a fearless and sensitive performer.